In this day and age, many of us are using GPS to navigate around our neighborhoods, countries, even around the world. For the average person, Google Maps and smartphone apps have become so commonplace that it can be easy to forget what this technology means in the grand scheme of things. Sure, getting from Point A to Point B now starts with only a few clicks on your keyboard or a couple taps on your smartphone. However, looking from a much broader perspective, GPS represents just another traceable step in the evolution of how we navigate around our planet. One step in particular that has often been overlooked and forgotten is the history and art of globe making. While globes are now primarily used as decorative items rather than educational tools, they represent the culmination of centuries of exploration, discoveries, conflicts, and trial and error. Follow along as we briefly delve into the history of globes, their transformation over time, and the increasingly extinct practice of hand-making them. While evidence for the exact origins of globes is scarce, it is known that globes became very relevant beginning in the 15th and 16th Centuries. The earliest surviving globe was designed by a German geographer in 1492, just as Christopher Columbus was embarking on his journeys to the West. Yet, contrary to what you might think, globes were not initially used for navigating the seas nor recording of new discoveries. Rather, globes were given to powerful rulers as gifts, as they symbolized their control over their lands. 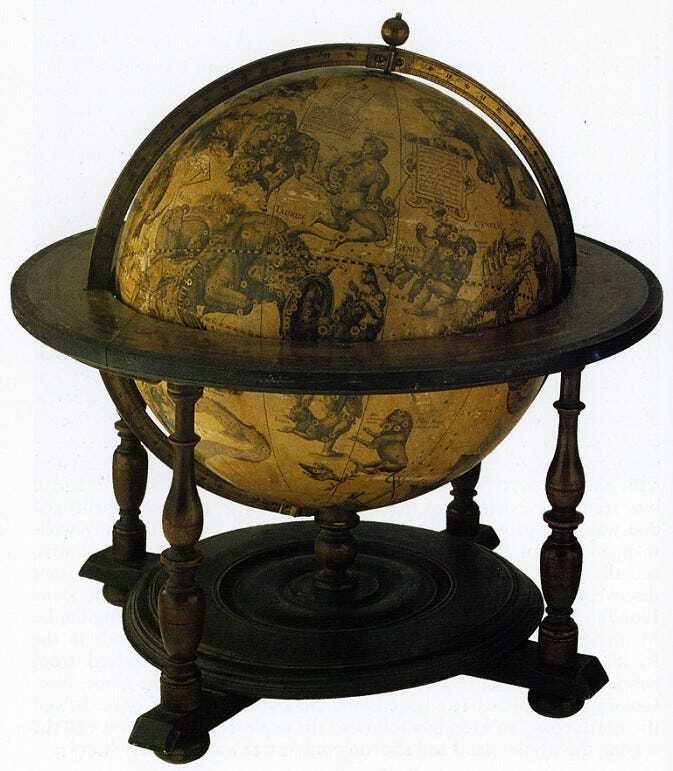 While the demand for globes rose in the 17th Century, the use for them largely remained the same. 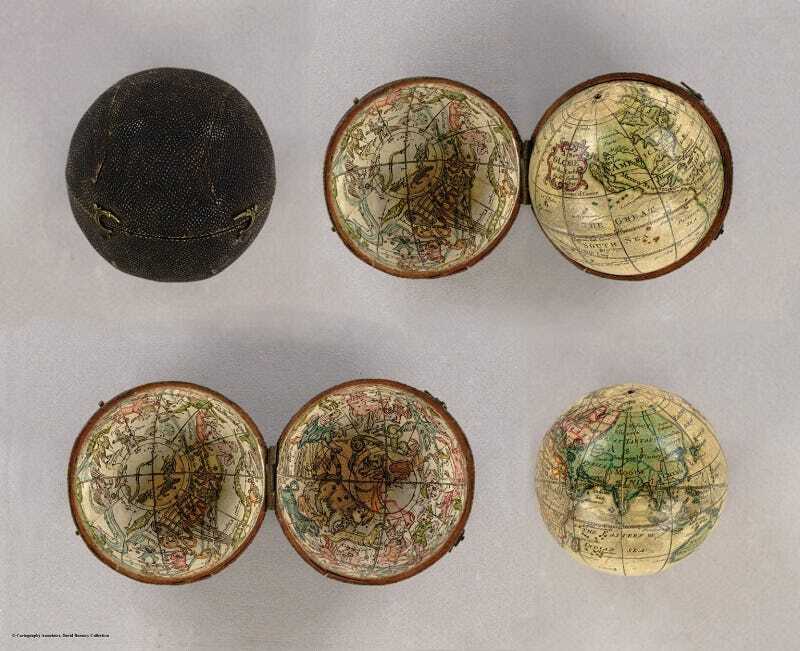 Small pocket globes and even larger globes developed by the British continued to serve as powerful decorative accessories and as symbols of status. Nevertheless, maps were updated and new discoveries were recorded so that many globes could still serve a practical use. Only in the 18th Century did globes more widely serve practical uses such as the recording of new discoveries and as educational tools for astronomers. 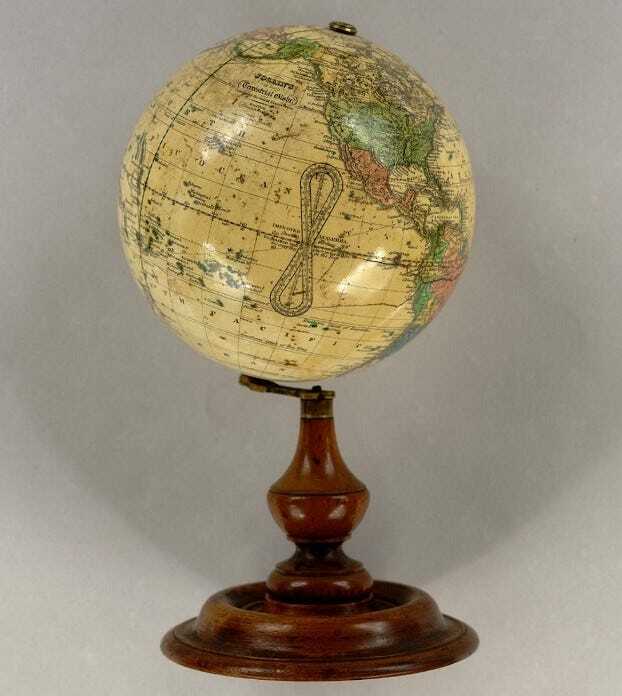 Transitioning further away from decorative appeal, globes became much more informational with many new discoveries, including the voyages of Captain James Cook (as depicted in our Antique Terrestrial MOVA Globe). This time period saw the addition of a new market for globes that is iconic in today’s world: the classroom. 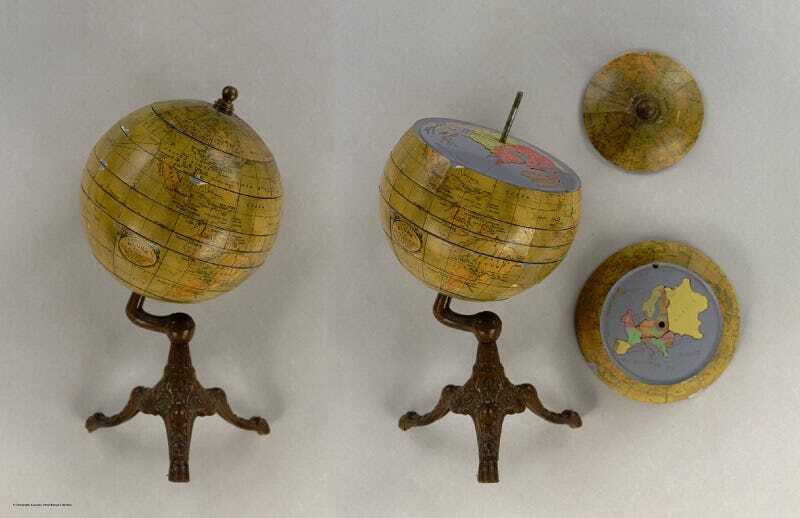 Thus, many globes were made into smaller sizes for easier portability and of course to conform to children’s needs. Towards the end of the century came technological innovations which would change the ways globes were produced. Technological innovations affected the production of globes in many ways. 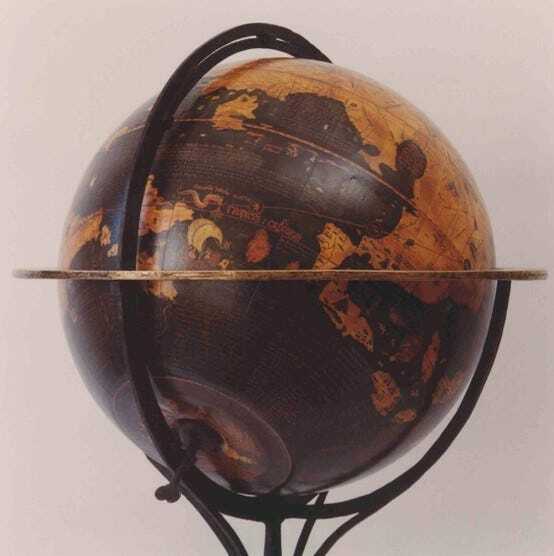 First and foremost, globes became mass-produced using various materials from wood to plastic. Secondly, satellite images showing the earth’s land masses confirmed the accuracy of previous globes, shedding them in a positive light. Flash forward to today and globes now serve mostly as décor and historical artifacts and are made in a variety of ways. With the advent of modern technology, most globes are now mass-produced, leading to a void in the craftsmanship of globe making. Located in London, Bellerby & Co. is one of the few remaining handmade globe studios in the world. There, globes are created one map strip (globe gore) at a time, in a long but thoughtful process, thus preserving an art that is now almost extinct. Here at MOVA International, our hand-made globes combine advanced solar technology with vintage and modern globe designs to add an eco-friendly movement that truly bring globes into the 21st Century. Our Cassini Terrestrial MOVA Globe features a map from 1792 modernized with our motion technology. 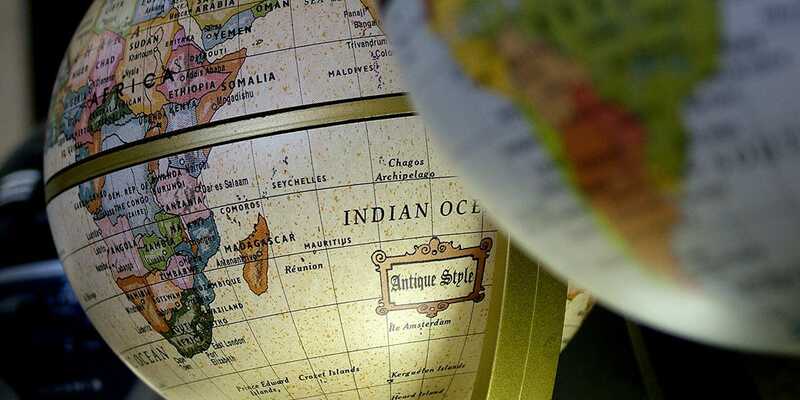 Whether providing inspiration for the avid traveler or as a simple reminder of our historical discoveries, globes have undergone great transformation over the years. From learning tools for children to office décor, there’s no question that these miniature versions of our planet encapsulate all the history that makes our world a wondrous place to explore. What do you find most interesting about the history of globes? Let us know on Facebook.